ONCHAN, Isle of Man – August 21, 2017 – The World Championship of Online Poker returns to PokerStars, the market-leading brand of The Stars Group (Nasdaq: TSG; TSX: TSGI), with a record-breaking series guarantee of $60 million across 81 events, including a $5,200 Main Event with a $10 million guarantee and the addition of a Low stakes tier to the series. The series kicks off on September 3 and runs until September 26 but satellites, and the chance to claim part of that $1 million plus in promotions and giveaways in prizes, start today. 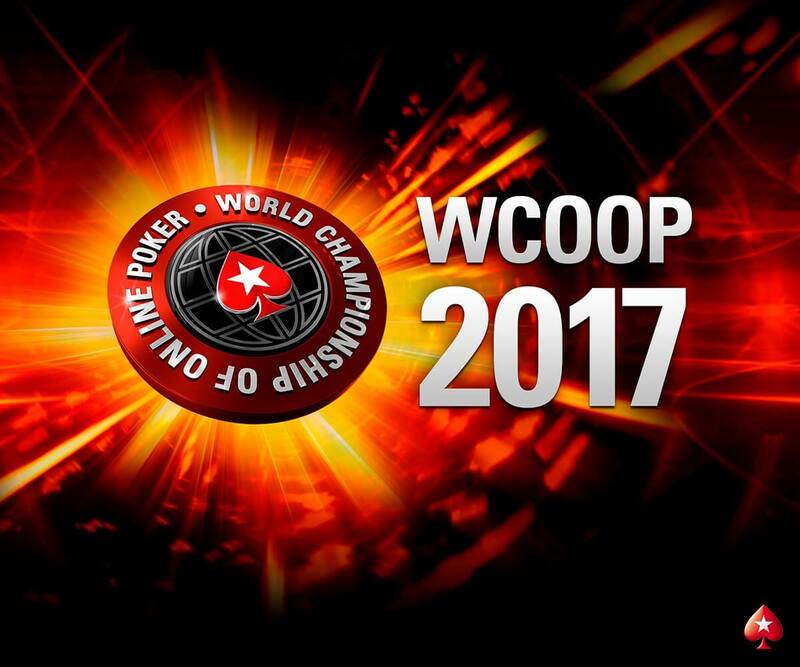 The 2017 edition of WCOOP will celebrate and cater to PokerStars players of all levels. All players who final tabled a WCOOP 2016 event will receive a ticket to the daily $55 Seat Added Satellite, representing around $50,000 of extra value, courtesy of PokerStars. Players who have just missed out on the money in any WCOOP 2017 tourney will be eligible for entry into daily $7,500 added value freerolls representing $165,000 in extra value, running from September 4 to September 25. WCOOP 2017 is appointment poker at its best with lots of opportunities for players to make the most out of the series. Daily $55 Seat Added Satellites: These tournaments will have one $5,200 Main Event entry added to the satellite each day from today until September 24, which means that PokerStars will be buying in a player every day until the Main Event, representing more than $175,000 in entries. Bubble Freeroll: To appease the pain of bubbling a tournament, any player who directly bubbled a WCOOP 2016 event will also be given a ticket to a special freeroll on September 3 at 14:05 ET where they will play for one of three $5,200 Main Event seats. Special edition Spin & Go: These games will allow players to spin their way into WCOOP at either the $27 or $109 buy-in levels. The Spin & Go’s are running in the PokerStars client now until September 24. Stars Rewards Chests: There will be more than $700,000 in added value via WCOOP tickets awarded to players in Stars Rewards Chests. “This year we’re making WCOOP even bigger and better,” said Mike Jones, Poker Operations Manager at PokerStars. “We’ve added a less expensive version of each WCOOP event, we’re trying new things with the satellite program, and we’re giving away nearly a million dollars’ worth of WCOOP entries in various promotions.